Hungary is in central Europe, bordered by Austria, Slovakia, Ukraine, Romania, Serbia, Croatia and Slovenia. It has had a long and rich history. It first acquired its own identity under the Magyars in the ninth century. Since then, it has repeatedly been invaded by the Turkish, preferring eventually to opt into the Austro-Hungarian Empire ruled by the Habsburgs to avoid further Turkish invasions. After the first world war Hungary lost much of its territory. In 1918 it became a republic, in 1919 it was a communist state, and the monarchy was restored in 1920. During the second world war, Hungary was a nazi supporter, and was occupied by Germany. Russia drove out the Germans in 1945 and assisted local communists to seize power, becoming a Russian Soviet satellite in 1949 under a new constitution. On 23rd October 1989 Hungary became the independent Republic of Hungary. 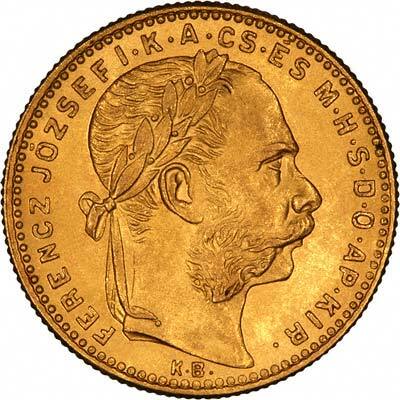 Many of Hungary's coins have used the same denominations as Austrian coins, because of its close association. 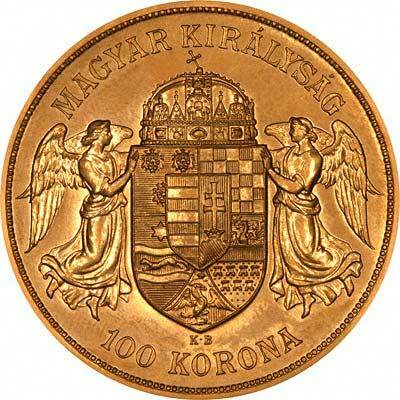 Amongst the most easily encountered Hungarian coins are the Korona series issued from 1892 to 1918. We give below the specifications of some of the denominations, followed by a list of coins offered for sale. For silver and base metal coins of Hungary, please look at our original Chard Coins website. 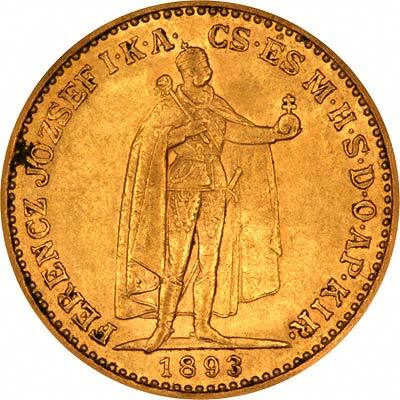 We make an active market in almost all world coins, gold or otherwise, including Hungarian gold coins. If you have any of these coins to sell, please contact us, or post them to us for appraisal and offer.